The vision of the National Association of School Psychologists (NASP) is that all children and youth thrive in school, at home, and throughout life. 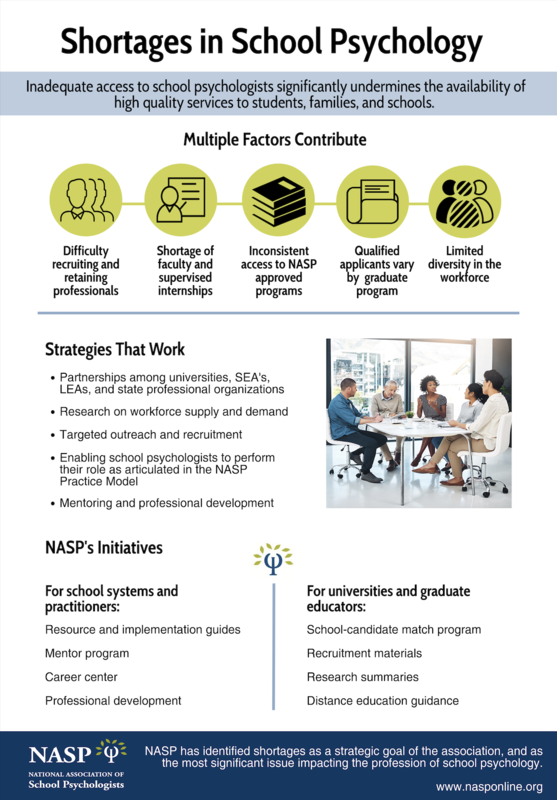 To help direct its efforts and position highly qualified school psychologists to fulfill this vision, NASP has proposed four key initiatives of the association. 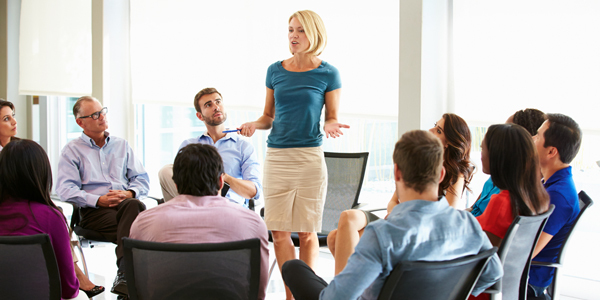 One of those initiatives includes addressing critical shortages in school psychology. Shortages in school psychology, like shortages in other related professions, have the potential to significantly undermine the availability of high quality services to students, families and schools. NASP has published a Research Summary that provides the latest data addressing school psychology shortages, titled "Shortages in School Psychology: Challenges to Meeting the Growing Needs of U.S. Students and Schools"
Building upon previous recruitment efforts, NASP’s African American subcommittee of the Multicultural Affairs Committee has officially launched the Exposure Project (#NASPEP) to expose high school students and undergraduates, especially those of diverse backgrounds, to school psychology. As a school psychology graduate student, faculty member, or practitioner, please consider presenting to high school students and undergraduates in your area to expose them to the field. Materials are available for download via Dropbox. This webinar reviews the current resources available on the NASP website that can help state and national leaders address school psychology shortages. Specific recommendations of how state associations can use these resources was offered. This infographic outlines the school psychology shortages and identifies strategies to remedy the problem. This infographic corresponds with the Frequently Asked Questions about Shortages in School Psychology document. Acknowledgement of writing group members as part of the NASP Shortages Task Force (in alphabetical order): Joel Bocanegra, Jamie Chaffin, Emma Dickinson, Peter Faustino, Sally Grapin, Regina Kimbrel, Leah Nellis, Kari Oyen, Eric Rossen, & Lori Unruh.